Justin T. Weller is running as an Independent candidate for Urbana mayor. He announced his candidacy this week. 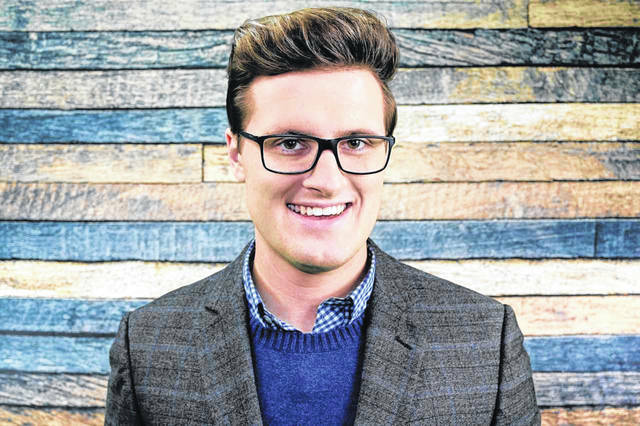 Justin T. Weller, the 23-year-old president and CEO of locally-based podcast network TrueChat, announced today that he will be running for mayor of Urbana as an Independent on the Nov. 5 ballot. Weller planned to broadcast his announcement on various social media networks and through the launch of his campaign website, www.justintweller.com. As an Independent, Weller’s nominating petition must be filed by Aug. 7 for this year’s general election. According to the candidate, his campaign committee will be filed with the state on or around Jan. 31 so that they can begin to accept contributions, at which point his nominating petition will begin circulating. The candidate says his goal is to raise the minimum wage to $12 an hour and encourage businesses to voluntarily raise wages for all workers through tax incentives. Other key issues involve eliminating government waste, improving communication between city council and the public, and creating a career placement program in coordination with Urbana City Schools, Urbana University and local businesses. Current Urbana Mayor Bill Bean said he will be running for re-election. He frequently has cited state government’s elimination of local government funding as the reason city council is asking voters to approve an additional sixth tenths of one percent increase in income taxes that would be dedicated to police and fire services. Weller said he has been regularly attending city council meetings and agrees that the source of the city’s financial woes is indisputable. However, he also believes that local government could easily trim $100,000 in excess spending. Weller said that as a voter, he would want to know first that the city had done everything it can to eliminate excess spending before asking for more money. Bean said that he has had several conversations with Weller about making a podcast of city council meetings available through TrueChat, but has never discussed the budget with him and isn’t sure where he is getting his information. Weller grew up just east of Urbana on Maple Lane Farm, which is still owned by his parents and where TrueChat is headquartered. He graduated from Urbana High School. Weller attended Xavier University in Cincinnati for two years before making the decision to put his education on hold in order to focus on developing TrueChat into a business. He said he has spent the last seven years reporting on politics at both a national and local level, and has worked for campaigns, but has never before run for elected office. Weller said his campaign has conducted a survey of Urbana residents and learned that 83 percent of people think the city never or rarely communicates with them. Just 11 percent of residents thought the city was doing a good job of informing them. Weller said that through podcasts, social media, and traditional media, the government needs a comprehensive communication plan, and that he will be releasing videos regularly to explain his platform to the people.